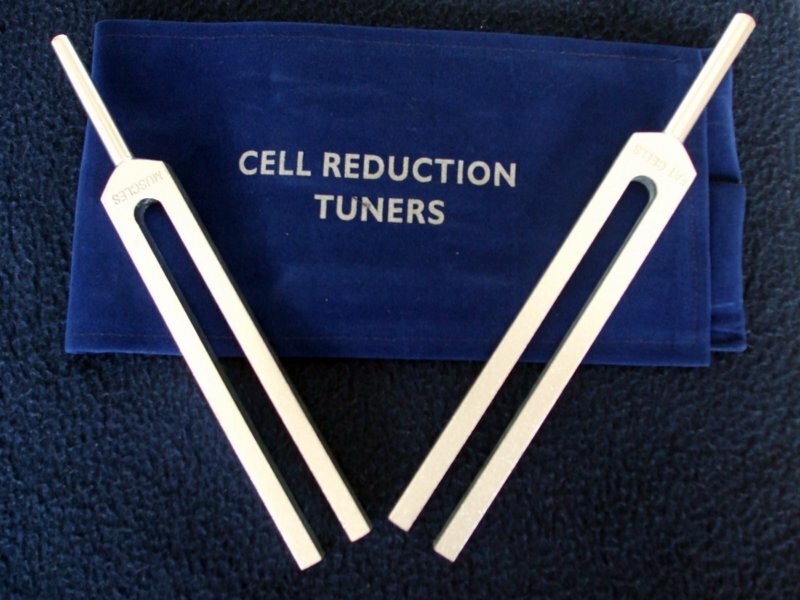 The Cellulite Reduction tuning fork set is based on Barbara Hero's Human Organ frequencies. 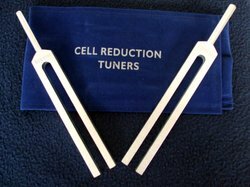 This 2pc set includes the Fat Cell tuning fork and the Muscle tuning fork. Using the two tuning forks of this set together may help to trigger the release of excess fat cells from your body while encouraging and stimulating the growth of muscle tissue. It is a well known fact that muscle tissue burns more calories than fat tissues does, so an increase in muscle mass will increase the number of calories that you body burns-resulting in a possible weight reduction. Cost of the Cellulite Reduction tuning fork set is $42.99 plus $6.99 postage in U.S.A.